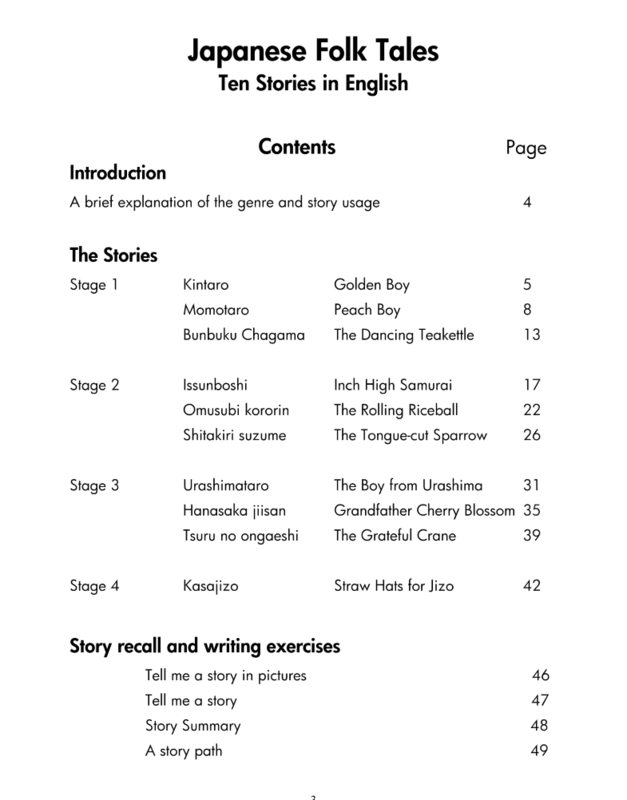 The ten stories are written at four levels to provide for various grades and reading skill levels within a grade. Paragraphs are clearly defined and stories are deliberately kept to 3-5 pages to enable classroom copying for shared reading activities. The page lay-out is “ragged right” for ease of reading for learners/slow readers. The stories are written in recount. This is to enable students to rewrite the stories in another genre, to show consistency in tense, because they are tales from long ago. 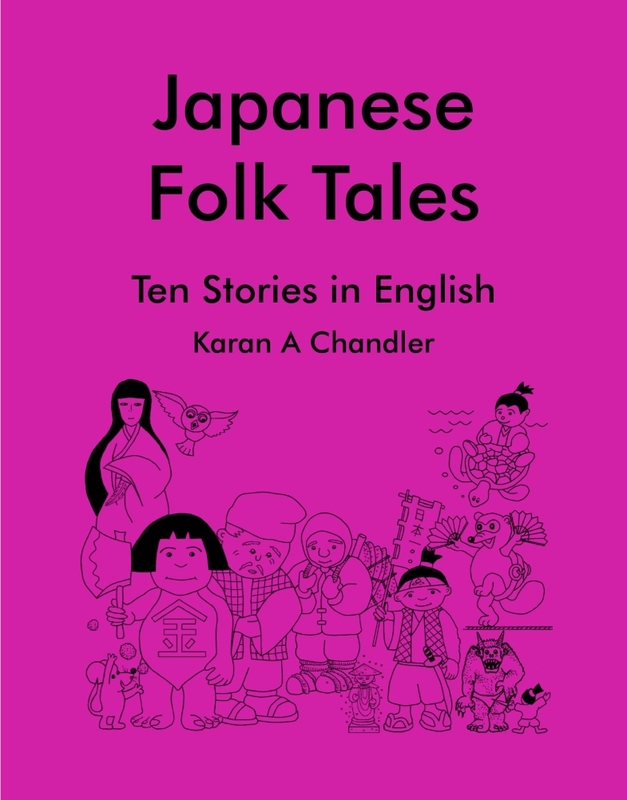 Both Japanese Folk Tales: Activity Book and Japanese Folk Tales Creative Resources are designed to use with this book, but all books can stand-alone; however, there is no other book like this on the market. 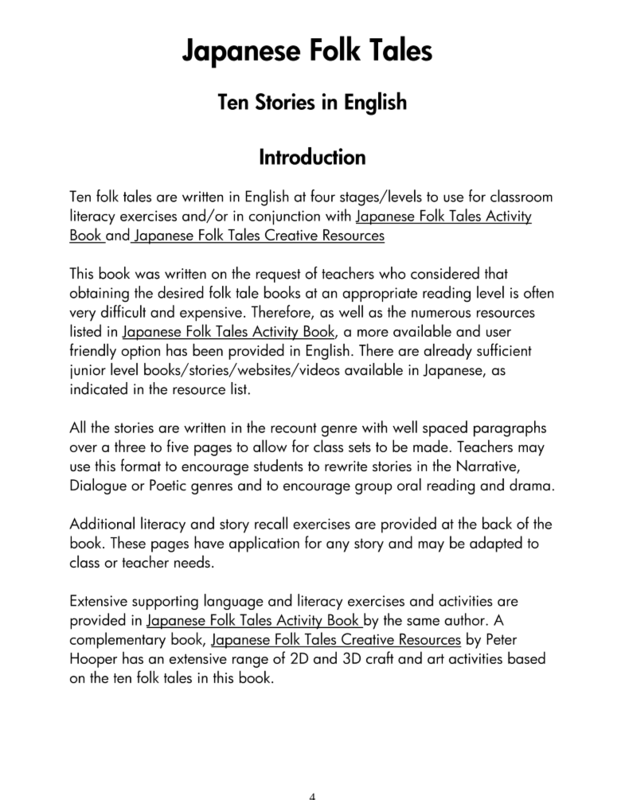 Japanese Folk Tales Ten Stories in English are written at four levels to provide for various grades and reading skill levels within a grade.